“When we see multiple generations coming to us that’s when we know our rust protection formulas have proven themselves,” explains Dave Schulthies, President of Oil Gard. Gord Hawken, the founder and inventor of Oil Gard Anti-Rust, had long been working with oil based fluids for the purpose of preventing rust and corrosion. His agricultural, air force, and car dealership experience confirmed that oil worked best. He also foresaw a huge potential market for an annually applied, low cost product that could help vehicle owners keep their vehicles longer. With extensive research behind him, Gord developed a product that would satisfy hundreds of thousands of vehicle owners. In February of 1976 the Oil Gard concept that had been developed by Gord Hawken became a reality. 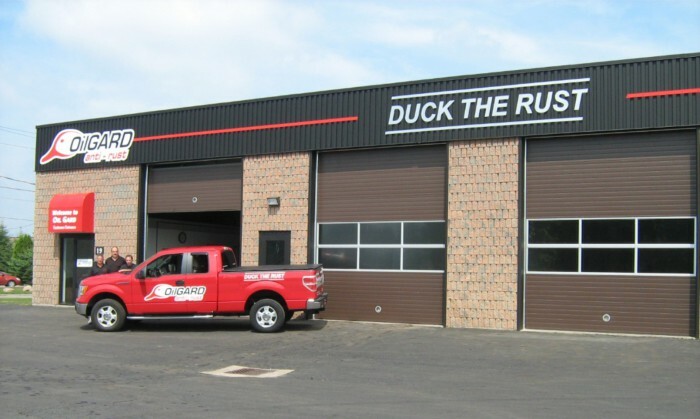 The first Oil Gard location opened its doors in Stratford, Ontario, fulfilling a need for automotive rust protection during a period when customers were disappointed with the results of other rust proofing products. The company grew rapidly, relocating to London, Ontario in 1980. The growth of the location was phenomenal and by 1982 three more locations had opened under the Oil Gard banner. That fall, licensing a nd development of the Oil Gard system began, and a strong network of dedicated dealers evolved. Today, Oil Gard Anti-Rust Canada Ltd. looks ahead to a strong future under the ownership of David & Susan Schulthies, son-in-law and daughter of the late Gord Hawken. As long-term Oil Gard Dealers in London, they bring firsthand knowledge of the automotive aftermarket to the dealer network. “When we see multiple generations coming to us that’s when we know our rust protection formulas have proven themselves,” explains David Schulthies. Schulthies credits the growth of the company to being ready to embrace changes in how people want to research services and how they choose a business they want to deal with. Oil Gard’s company website features a three-stage application video that shows customers exactly what to expect from an Oil Gard application. As well, the website is a handy reference for people on-the-go as it is mobile-device friendly. Another crucial piece of technology is their point-of-sale customer database which they use to make friendly reminder calls and send special offers by mail each autumn. Being a community partner has been a key aspect of Oil Gard’s local presence. Oil Gard is a member of the Business Club of London and supports local charities such as Childcan and Jesse’s Journey.